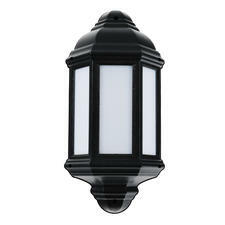 Give your home an air of elegance with porch lights that can be installed for both practical and style reasons. 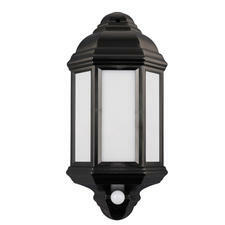 They give your home a welcoming entrance serving as ideal outdoor lanterns and help you find your keys too, and they’re ideal if your home entrance is encased in darkness, shedding some much-needed light on the shadows. 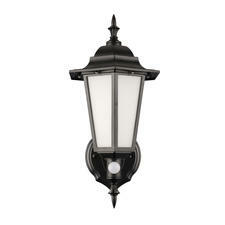 Whether you’re using your outdoor porch lights to provide a little extra safety as you enter your house, or are after something that speaks to the design of your home, thanks to First Lightings’ variety of styles you can find a light fitting that works well whether your home is more on the modern or traditional side of things. Give the outside of your home some illumination with our range of lantern porch lights that give you both function and flair. There are a variety of different styles and designs to choose from, that are perfect for porches, verandas, entranceways, walkways or porticos. First impressions count for a lot, so with one of these traditional, period or contemporary styles you can bring out the beauty in the front of your home and welcome people over the threshold. Not only is this this type of exterior lighting great for giving your exterior a beautiful glow, but it is a great safety feature too. Especially for those who have darkened paths. A motion sensor light might be the best option here, as you won’t always need to have the light shining but will be made aware when someone is heading to your front door. It’s important to bear in mind the size of the space when purchasing your porch lights, you don’t want a hanging device that could potentially knock the heads of visitors, choose a design that’s more discreet. And similarly, you want a light that shines brightly enough to light up a large space if that’s what you have. 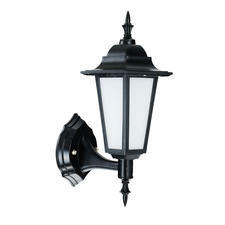 These outdoor wall lights are long-lasting, with attractive designs and extremely durable. They’ll bring out the best of your outdoor space adding a positive impact on the aesthetic value of your home. With top lighting brands and numerous shapes, sizes and styles available, you can illuminate the darkest spots for home safety, and create a welcoming, well-lit approach to your home. Here at First Lighting our vast range of outdoor porch lights is sure to set your imagination alight and provide plenty of exterior inspiration with our graceful fittings. They’re ideal for the purposes of surefooted security as well as convenience.